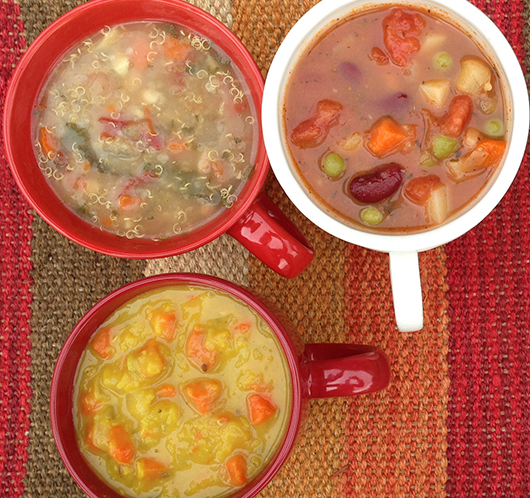 Boulder Organic Foods: Reach Your Health Goals With These Tasty Soups! You are here: Home / Sponsored / Boulder Organic Foods: Reach Your Health Goals With These Tasty Soups! We got a chance to try these soups and pass on the information to you. Who doesn’t love soup through the colder months (and all year, really)! These Boulder Organic Foods soups are hearty but light with a great grown-up taste! The soups are packaged in a terrific way to take with you on the go! My favorite is the Potato Leek soup, wonderful with a fresh salad and a nice cup of tea! 2nd favorite is Green Chile Corn Chowder! For something different, try the Carrot Ginger Soup with Coconut! There’s a soup for everyone! Boulder Organic Foods, the brand known for its certified organic, gluten-free and Non-GMO soup has a tasty line-up to help you eat right and stay light! Boulder Organic Foods was founded in 2006 by Kate Brown, who had a vision to craft “oh my gosh!” good food using garden-fresh ingredients. Boulder Organic soups are made in small batches and are certified organic, certified gluten-free and non-GMO verified. They are sold in the deli refrigerated section at grocers nationwide. For more information, go to BoulderOrganicFoods.com, or connect on Facebook or @BoulderOrganic on Instagram and Twitter.